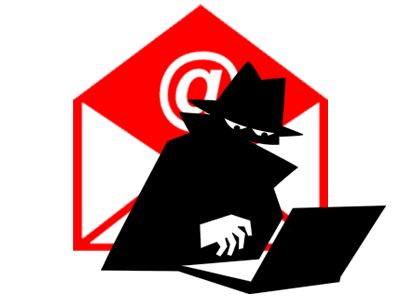 How Do I know an email is a scam? Sometimes it is so hard to catch an email scam before you open it. I just received an email that was routed to my junk folder and it took me quite a few google searches to find out if it was legit or not. I was fairly certain I didn’t have any packages that were being sent through Purolator but the email looks so convincing…I ALMOST opened it. 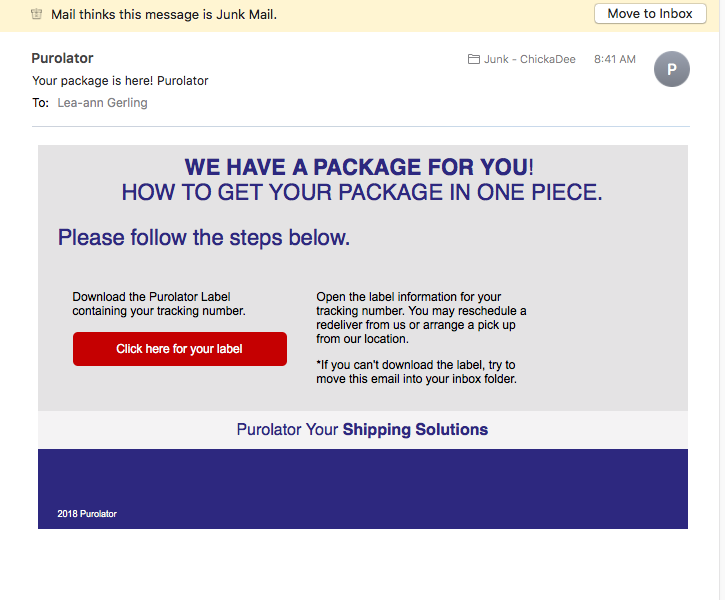 I did the usual checks like looking at the email address to see if it is legit and yup, it looked legit : Purolator <NotificationService@purolator.com>. How they get you is they put malicious code in the ‘Click Here for your label’ button. It is a never ending battle with these scam artists and it is getting harder to figure them out. This is why I try and post what comes across my desk to help warn others that may not be as paranoid as I am with cyber security. It has come to Purolator’s attention that some customers have received fraudulent emails that appear to be from Purolator accounts. These emails have come from the following email accounts: Post tracking Purolator and Post member. One indicates that the customer has a packet waiting for them at one of our offices. It directs the customer to print an attached document and bring it to a post office near them or their parcel will be returned. The other email indicates that there is a package waiting for them and asks the receiver to download and print the enclosed label to ensure the address is correct for a successful delivery, warning that a daily cost will incur for packages stored at our warehouse. Click here for the link to the REAL Purolator website with the information about the scam. Ranking your small business with Google is a very important tool you can use and it's FREE.